So here we go again. This was my first practice session at the Aon building in downtown Los Angeles. 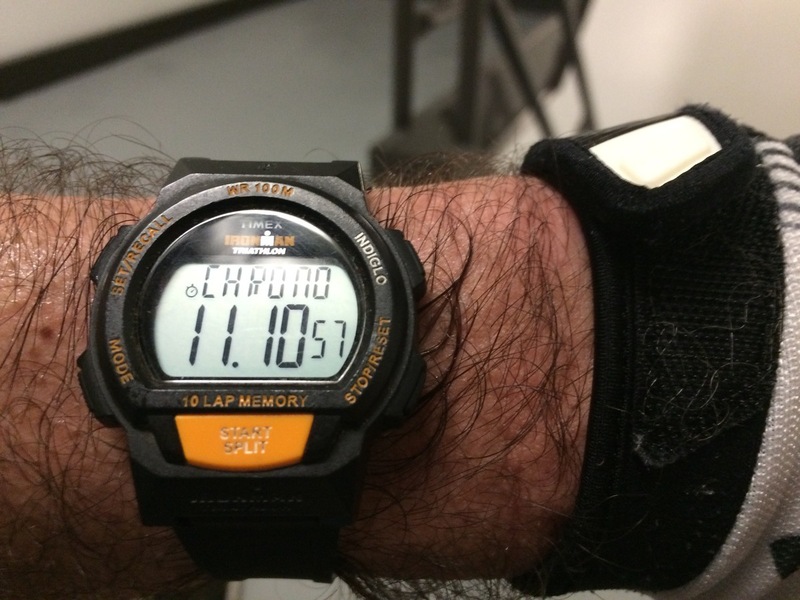 1,126 steps, 691 feet, 210 meters from the 4th floor to the 55th. 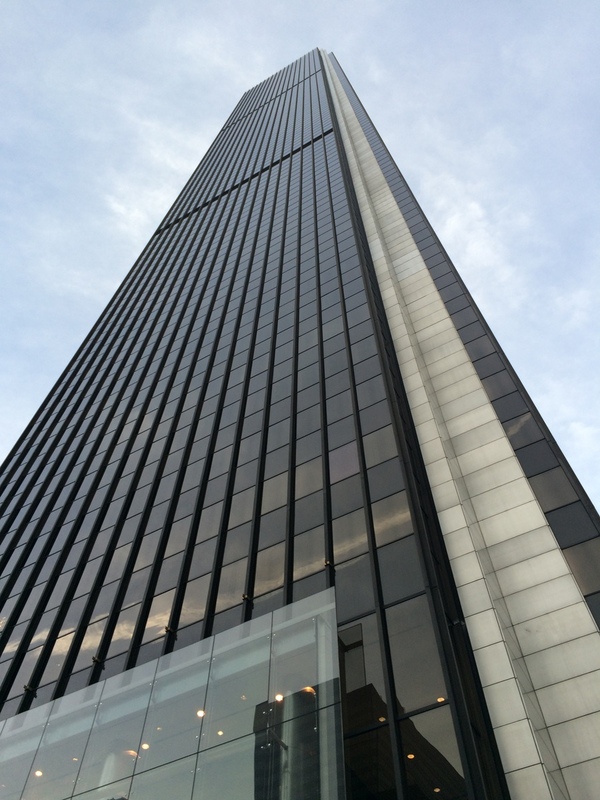 My only goal for the evening was to make it up the building five times for a Vertical Kilometer. 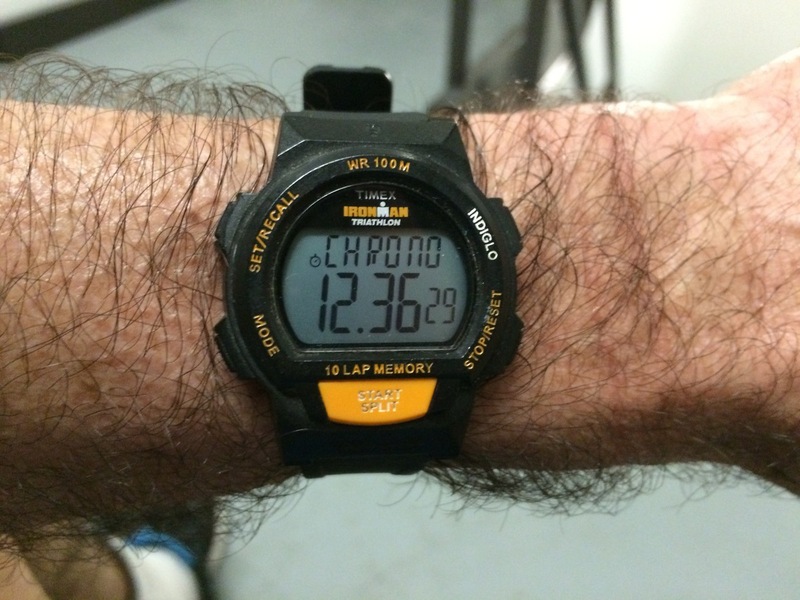 The first two times I was able to maintain my target pace pretty well. 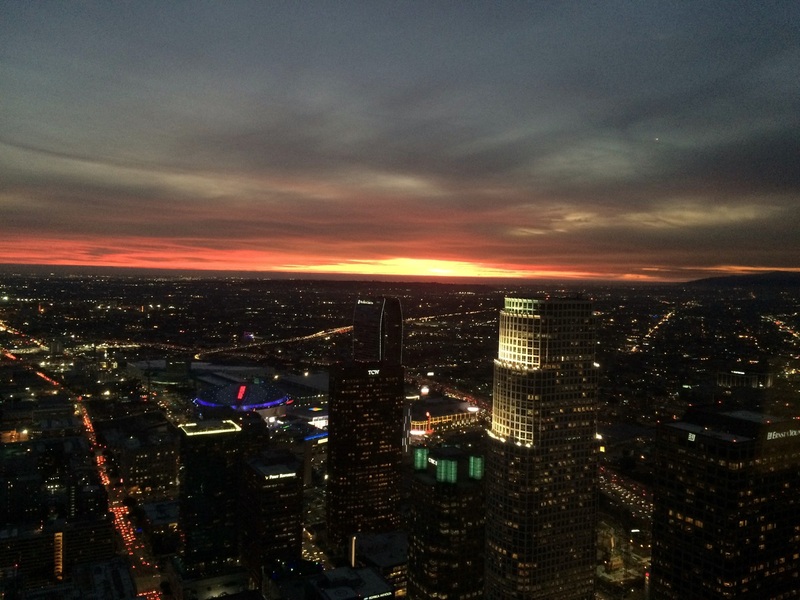 After the second climb, I took a minute to look at the nice sunset view from the 55th floor. Then I headed back down for the third climb. That was quite a bit harder, and I went a bit slower. But when I got to the top, I found Nathan up there. So we did two more climbs together, just taking it easy and talking all the way up. But still, climbing this big staircase is just fundamentally a different experience from doing the little 10-story climb at Millikan Library. Even doing that 12 times in a session is not as hard as doing 51 floors all at once. 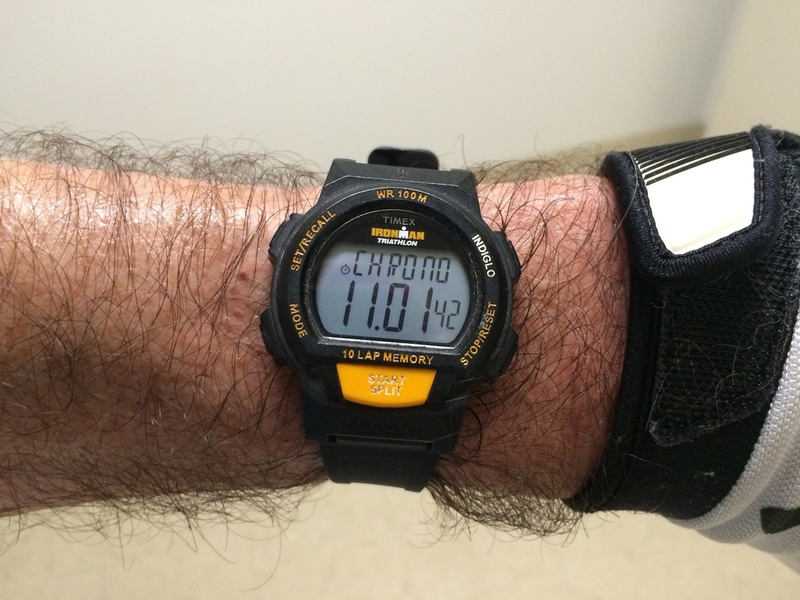 But still, I made my vertical 1-k.
I’ve recently been binge-watching the airplane disaster series “Mayday“. One of the episodes told the story of Hughes Airwest Flight 706 which crashed in the mountains just north of Duarte in 1971, after colliding with a Marine Corps fighter jet. In the process of reading more about that incident, I fell down the Wikipedia Rabbit Hole, and discovered that there had been another crash involving a mid-air collision near here, and it occurred just a few blocks off of one of our regular bike ride routes. Since it happened 41 years ago, I knew that there would be no trace of it now, but I still thought it might be interesting to visit the site. The accident in question was Golden West Airlines Flight 261, which was a short hop from Ontario to LAX. They were heading west toward LAX, directly into the setting sun, when they were hit from the side by the second airplane, and the debris fell in Whittier. 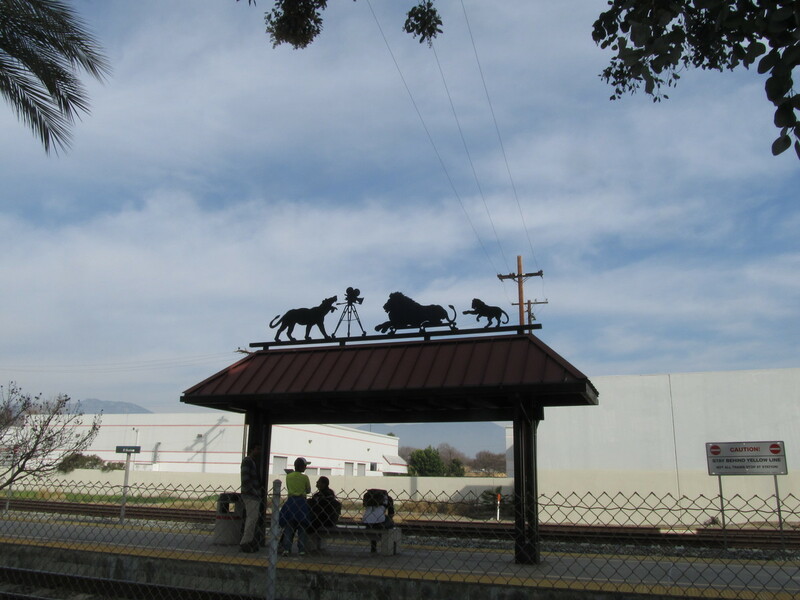 We took our usual route down the Rio Hondo bike path to Whittier Narrows. 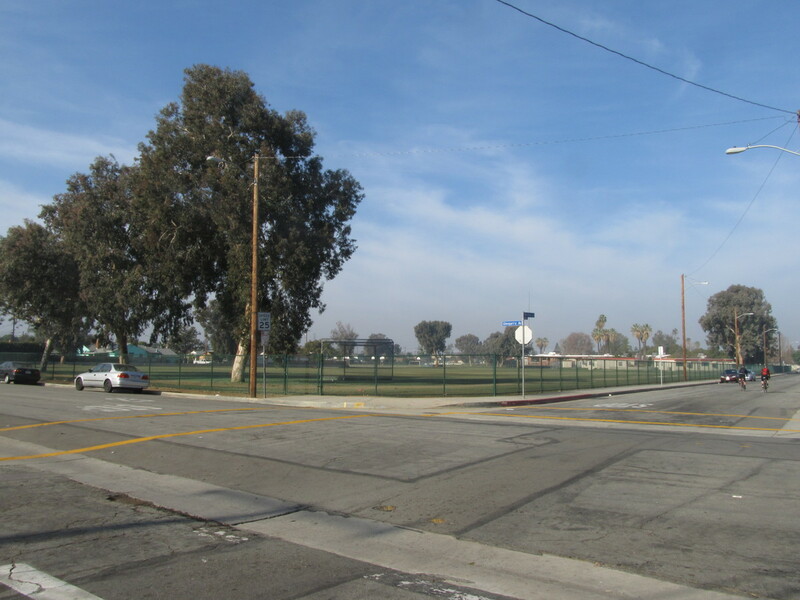 Then we tried a little experiment, taking Durfee Rd to Peck, and then Rooks Rd down the west side of the 605 freeway. Then we resumed our regular route into Whittier. 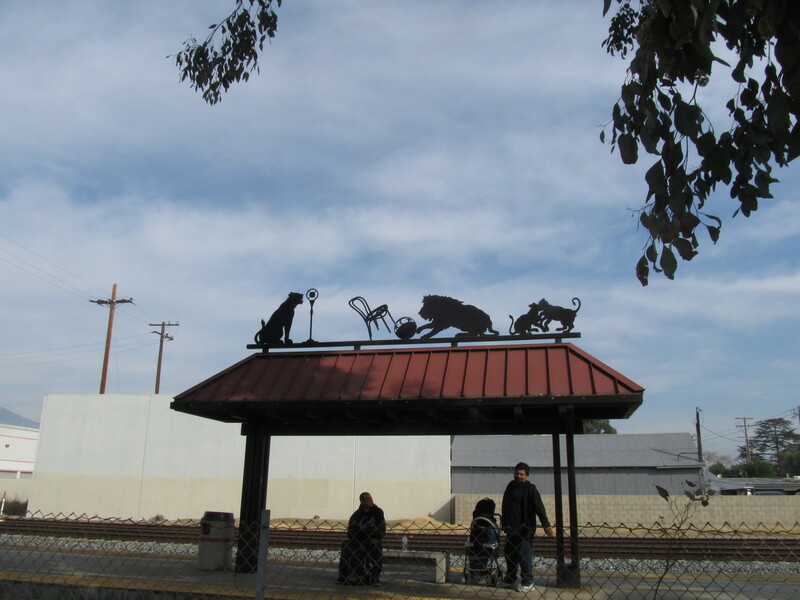 A second experiment was to take the Whittier Greenway Trail, which is an old railroad right-of-way that has been converted into a bike path and walking trail. That turned out to be very pleasant, and I think we will have to go back and see some more of it another day. A short side trip brought us to Katherine Edwards Middle School, where the fuselage of Flight 261 fell on the playing field behind the school. Other parts fell on the neighborhood surrounding the school. 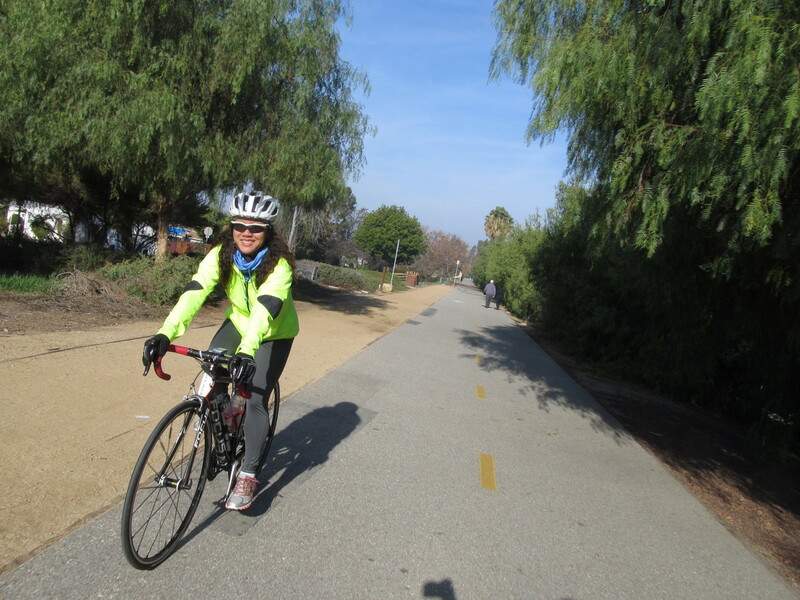 Leaving the crash site, we headed back up the San Gabriel River bike path to Whittier Narrows. 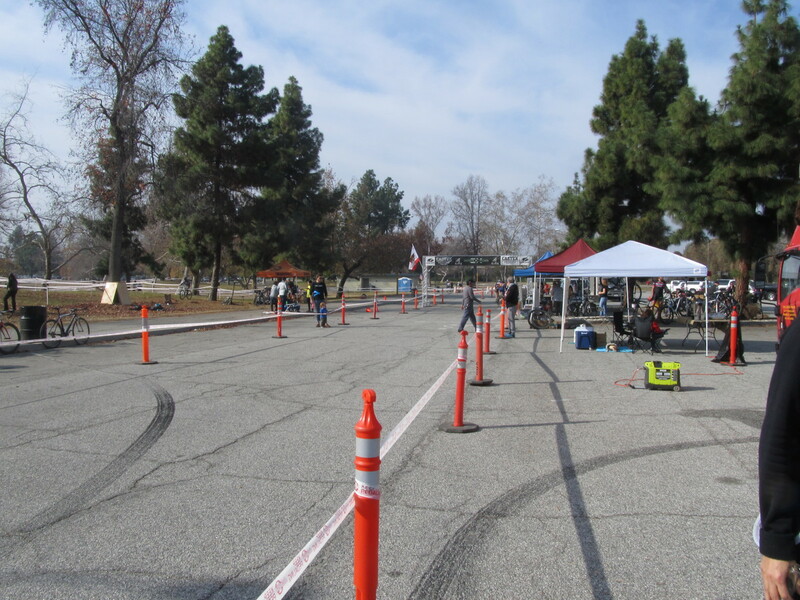 Then we took a short side trip to Legg Lake to see a bit of a cyclocross race that was being held there. 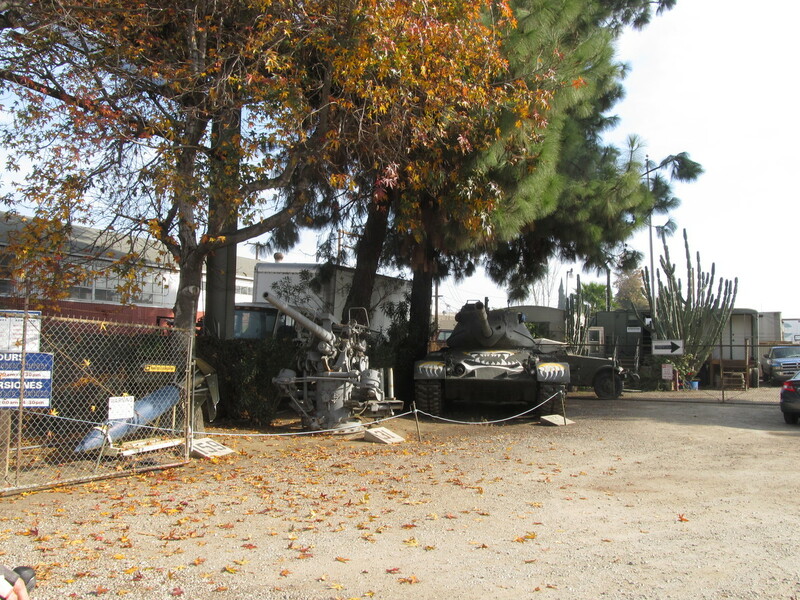 We also ran across a small military museum just on the north side of the 60 freeway. Then we continued north on Tyler Ave, heading for Arcadia. 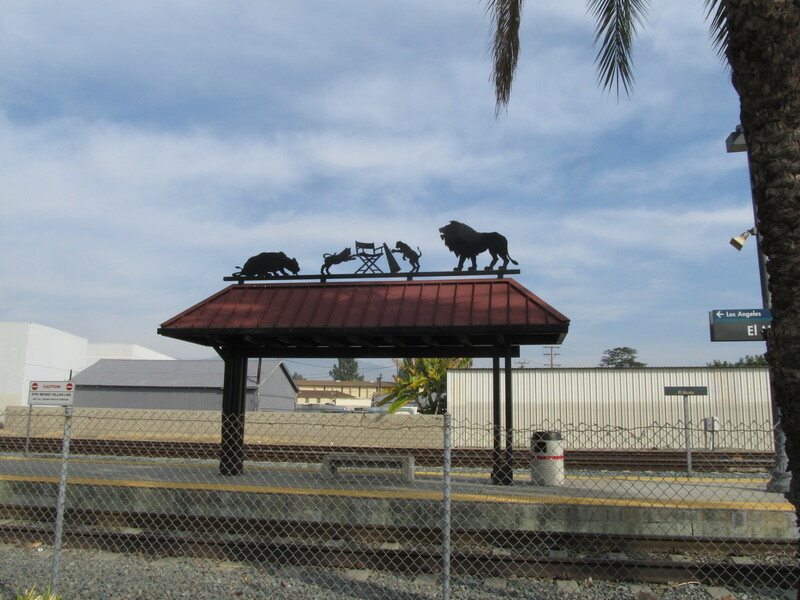 We stopped briefly at the El Monte Metrolink station to see the station artwork, which recalled the days when El Monte was known as the home of Gay’s Lion Farm. 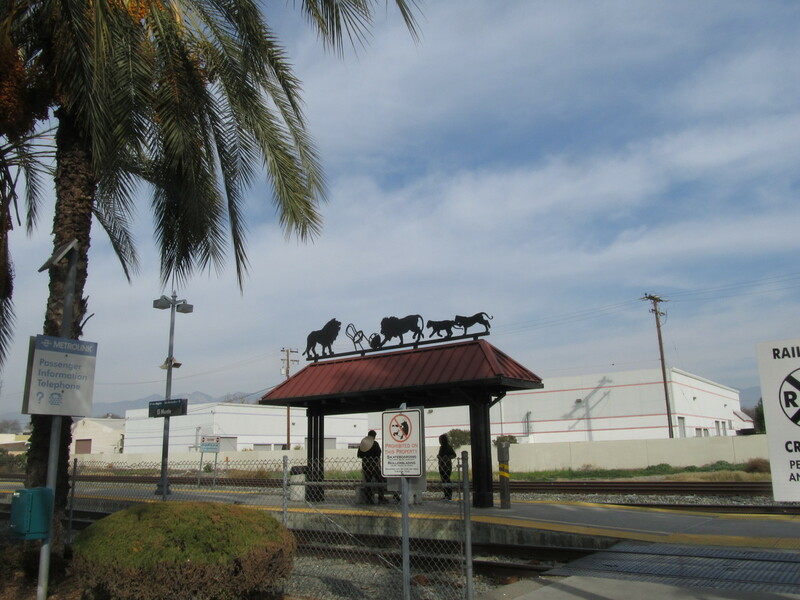 Continuing north, we got to Arcadia, and then headed home from there. It was very cold when we started out this morning, but it warmed up nicely, and in the end it was a very pleasant ride.